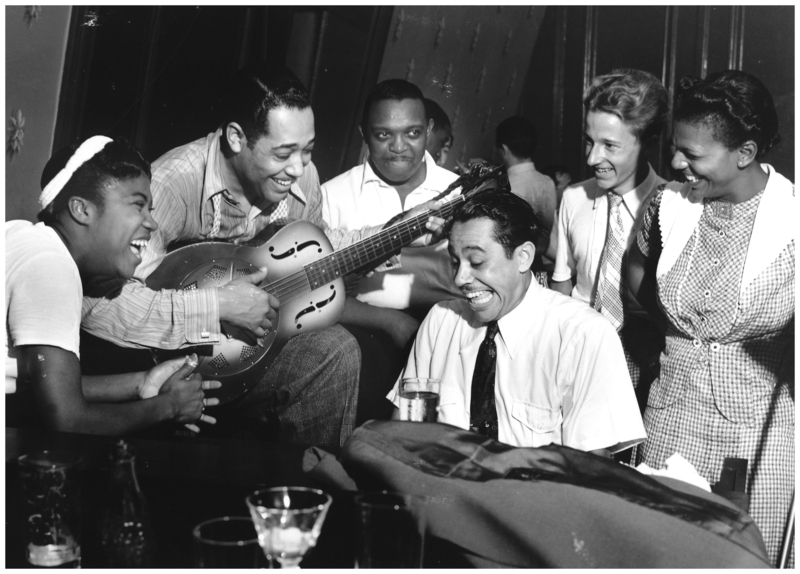 Duke Ellington, Cab Calloway and Sister Rosetta Tharpe. Janos Marton will be joined by Midnight Spin singer and guitarist Mike Corbett in exploring the history and present-day scene at some of New York’s most historic music venues. Be sure to check back after our first visit in mid-February. Also, every week Janos.nyc will add more songs to our Grooveshark playlist, An Evening in New York. (Signing up for Grooveshark is free, and there are no commercials.) An Evening in New York will feature the best of New York music, from the 1920s to the 2010s. One day I’d love to do a single-elimination music tournament to determine the greatest New York song of all-time. Here is the current playlist. 4. I Found a Reason (Cat Power). This song gets bonus points because Cat Power is covering the Velvet Underground. 5. Mother and Child Reunion (Paul Simon). Some say the passing of Lou Reed left Paul Simon as the grandmaster of New York music, but I wonder if it skips directly to Jay-Z. 6. Scenario (Tribe Called Quest). 7. Sheena is a Punk Rocker (Ramones). 8. I Can’t Stand It (Velvet Underground). 10. It Don’t Mean a Thing (Louis Armstrong and Duke Ellington). 12. Sh-Boom (The Chords). Considered by one music journalist to be the first “radio pop” song of all-time. 13. And She Was (Talking Heads). 14. Be My Baby (Ronettes). 16. Dancing Barefoot (Patti Smith). 19. Didn’t It Rain (Sister Rosetta Tharpe). She is basically a female Chuck Berry, way ahead of her time. 21. New York New York (Liza Minelli). Liza performed the original version for a movie soundtrack; Frank then covered it in the twilight of his career. 24. The Magic Number (De La Soul). 26. Gravel Pit (Wu-tang Clan). 27. Autumn in New York (Billie Holiday). 28. Take Five (New York Ska-Jazz Ensemble). 29. The Only Living Boy in New York (Simon & Garfunkel). 30. New York Kicks (Spoon). 31. I Love New York (Madonna). 32. The Breaks (Kurtis Blow). Blow, from Harlem, was the first rapper signed to a major label. 33. Fairytale in New York (The Pogues feat. Kirsty MacColl). 34. Talkin’ New York (Bob Dylan). 35. New York I Love You (LCD Soundystem). The most fitting tribute to present-day NYC, for better or worse. 36. New York Telephone Conversation (Lou Reed).